I have been having so much fun crafting lately. I really enjoy making stuff. I don't think I'm terribly good at any one craft, but I enjoy them all and it's fun to see what you can make with your own two hands. 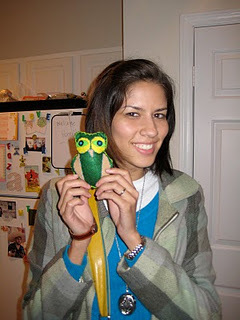 Making an owl was so fun that I decided to try making a cyclops bunny with Alex. Didn't turn out as great as I would have hoped, but I'm still learning. Practice makes perfect. 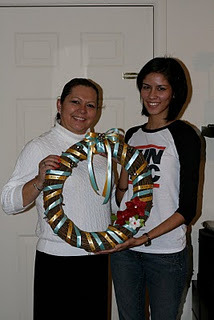 When Alex's mom was in town we made a wreath. 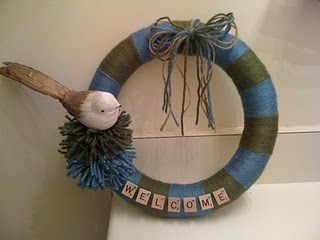 And last night Kat and I made these adorable yarn wreaths. We're pretty much obsessed now. We want to make more! 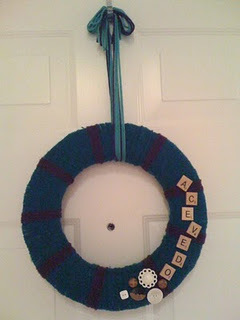 There are so many great ideas for yarn wreaths out there. So if you're looking for something to do over winter break (there are only so many Law & Order: SVU episodes you can watch! 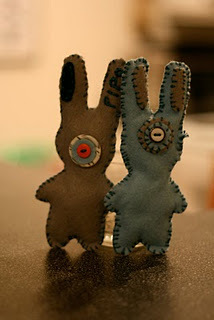 ), why not try your hand at some crafting?